The first rule of Wine Club is – there are no rules. Well, sort of. While we certainly aren’t pretentious winos around here, there are a few ways you might be doing wine wrong and it’s affecting the taste and your enjoyment, I promise. At the end of the day, we care less about whether we’re pairing the correct red with the evening meal and more about enjoying our favorite glass the way it was meant to be enjoyed. Regardless if you’re hosting a dinner party, having a wine night with the girls or going it solo with an epic TV binge session, try these tips for better tasting wine. A trip into your local wine store will have you walking along rows and rows of beautiful reds and whites stored under bright lights. This is definitely not how you should store it at home. Storing in a cool, dark place makes wine last longer. This is pretty important. Allowing your wine to breathe helps enhance the flavor. You can use a decanter, an aerator or for the laziest of us, just leave the bottle open while you drink. Putting the cork back in the bottle. Never put the cork back in the bottle while the wine is at the table. Driving home the same point as above, you want to let it continue to breathe as you drink. Not utilizing an Ullo Wine Purifier. We’ve all heard of aerators, but have you ever heard of a wine filter? I hadn’t until recently, and I really wish I had found out about them sooner! Purifiers like the Ullo Wine Purifier use Selective Sulfite Capture Technology filters to remove free sulfites and their bitter taste. Everything else flows through completely unaffected, leaving you with wine tasting the way it was meant to be. We did a blind taste test and served unfiltered and filtered wine glasses to guests this past weekend and we overwhelmingly preferred the filtered wine. I’m amazed at how much it really cleans up the aftertaste and creates a much smoother experience. The purifier also has the option to aerate, allowing you switch the aerator on or off based on preference. It also comes with a display base for storage and four single bottle filters to get you started. Bonus – they say it’s the sulfites that cause headaches and hangovers when drinking wine. This is by no means a definitive answer, but I drank an entire bottle of red on Easter with no hangover or headache on Monday morning. I’m sold! Drinking it too cold or too warm. White wine should be chilled and served between 49-55 degrees Fahrenheit and red wine should be served at just below room temperature, 62-68 degrees Fahrenheit. If you over-chill a bottle of white it can wind up feeling flat and serving red wine too warm and it loses freshness. We love reds around here and find that if you don’t have a fancy wine cellar or fridge, you can pop a bottle into the fridge for about 30 mins before serving and that does the trick. Also read: What is a Solar Oven and How Does it Work? Not drinking it out of a wine glass. This rule may sound a little snobby at first, like really? We’re telling you what glass to drink it out of now? But wine glasses were specifically designed to make wine taste better. 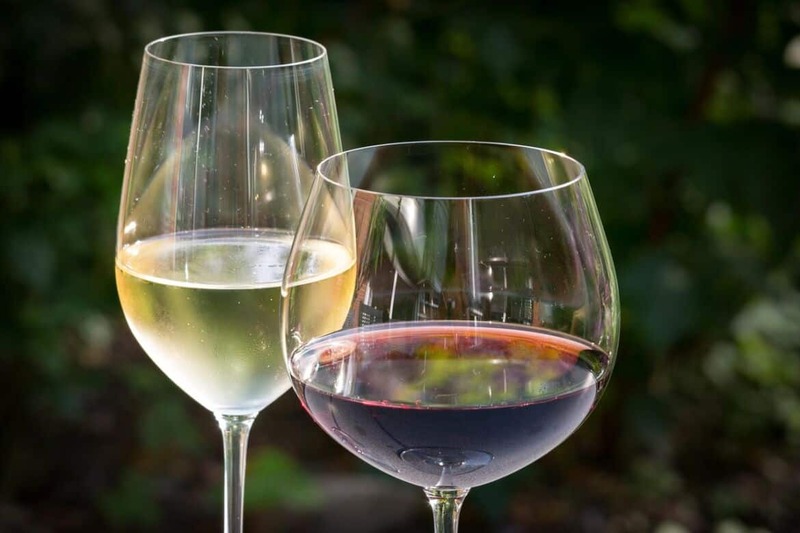 The shape of a white wine glass is different than a red wine glass, and for good reason! Stemmed glasses reign supreme because they prevent the body heat from your hands from changing the temperature of your wine too quickly. This is particularly important when drinking whites as they’re best chilled which brings us to our next point. Stop holding the glass by the goblet. Yeah, Olivia Pope does it, but Olivia isn’t right about everything (case in point: Jake). Holding your wine by the goblet changes the temperature of the wine and affect taste. Stop it. Filling your glass too full. We get it. Long day. Kids. Life. Marriage. At this point, you’re sort of just like #GiveMeAllTheWineRightNow buutttt it’s actually not a great idea to fill your cup to the brim. First, stains. Have you ever tried to get out a red wine stain? Not easy (although if you catch it quick enough, spilling white wine on the stain usually does the trick – no joke!) and it totally kills the wine drinking vibe. Second, it doesn’t let the wine in your glass breathe – which, remember, makes it taste better. Who doesn’t want a good thing to be even better? For best practice, you should only fill your wine glass to it’s widest point. It gives you enough room to swirl, if you’re the swirling type, and allows your wine to breathe. This is a rookie mistake, don’t be a rookie. When it comes to enjoying wine, there really will be rules that need to be followed. These are very good tips. This is my first time hearing about the Ullo Wine Purifier. This is the first time I have heard about a wine purifier. I love wine but not the headache that comes with it. I think I need to get the Ullo Wine Purifier. Thanks for introducing me to the product. Wow. So much information in this post that I realized I have been doing wine wrong! I am sometimes guilty of putting the cork back. I’m wiser now and won’t do it again! Everyone wants a good thing to be even better. Will practice and I hope it’ll give me enough room to swirl, as I’m swirling type, and allows me wine to breathe.